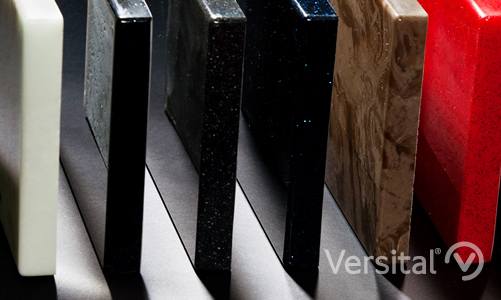 Versital have over 90 different colour options in a range of finishes. You may prefer to browse our colour options by finish type, if you have a specific preference. We have grouped them as marble finishes, granite finishes, High gloss sparkle ‘Reflect’ options and solid ‘RAL’ colour options. You can order samples online, or if you prefer you can browse our colour options by colour group. Please get in touch if you need any advice on colour choice, require a quote, or need help ordering samples.